Serving Huntington and surrounding areas, including: Hurricane, Milton,Teays Valley, Barboursville, Buffalo, Wayne in West Virginia;South Point and Proctorville areas in Ohio; Catlettsburg, Louisa and Ashland areas of Kentucky. We are not far from Downtown and Interstate 64, 5th Street Exit. Our parking is easily accessible next to our front door on 9th Avenue. We have Handicap Parking next to our Wheelchair ramp at the rear of the building. For you convenience, our office participates with most dental insurance plans. We have financing options through Care Credit. We can assist with Health Savings Accounts as well. Dr. Sisson is dedicated to providing each patient with the information, treatment and maintenance needed to preserve and create beautiful smiles with strong, healthy foundations. We know your time is valuable. We schedule appointments so you are seen promptly. We can provide your care in the fewest number of visits possible. 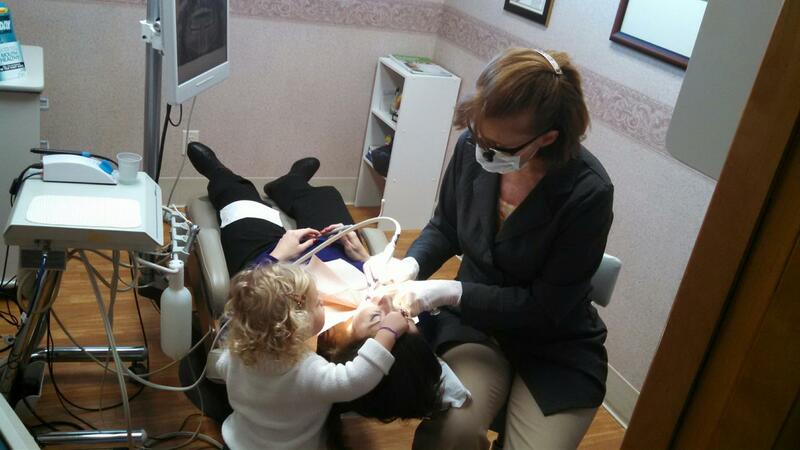 For less waiting, our two hygienists can see family members at the same time. We offer special attention to out Senior patients with longer appointments, easy access from the rear parking area and assistance with paperwork. And we care for children's special needs as well. We know little ones need "wiggle time" and the treasure box is overflowing! Don't like your smile? We have many cosmetic options. Our professionally trained staff is experienced with sterilization, x-ray safety and complex dental procedures. Occasionally you may need emergency assistance. Emergency calls are answered 24 hours. Dr. Sisson's NOTICE OF PRIVACY PRACTICES is available upon request. Dr. Sisson can help you maintain your teeth and keep smiling for years to come. Give us a call 304-525-0016 today and make an appointment with one of our doctors.